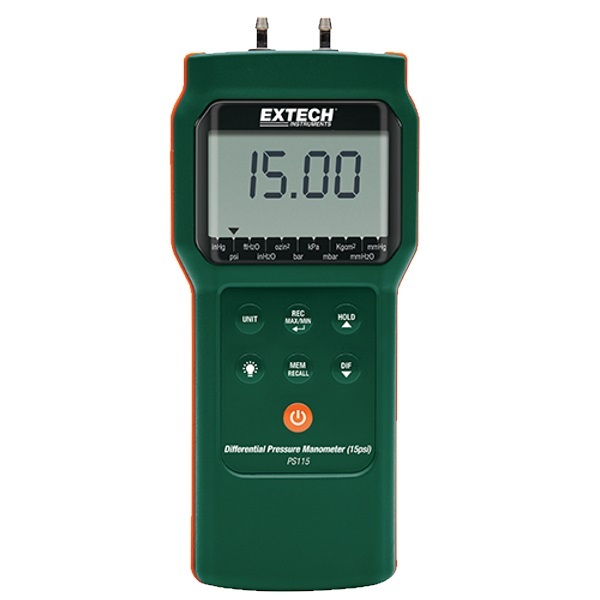 Extech’s PS115 differential pressure manometer is ideal for field, manufacturing or lab/R&D use offering a 15psi range, readings in 11 units and high resolution. 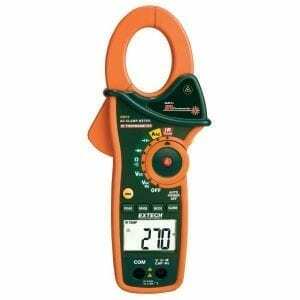 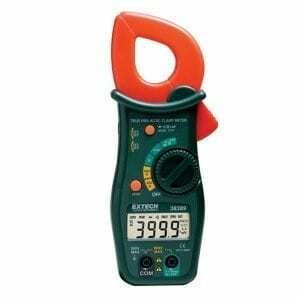 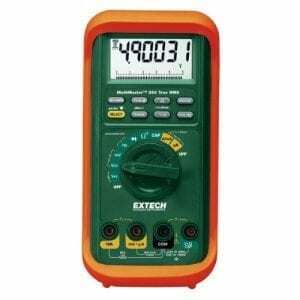 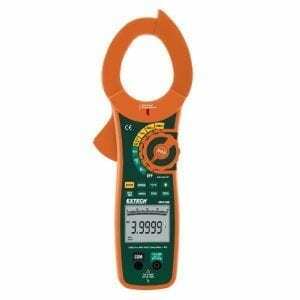 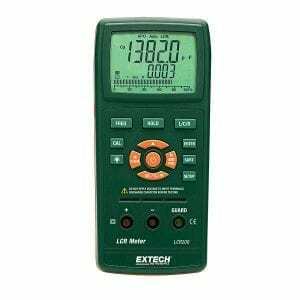 The manometer also features a large LCD display with backlighting, data hold, auto power off/disable and zero function for offset correction or measurement. 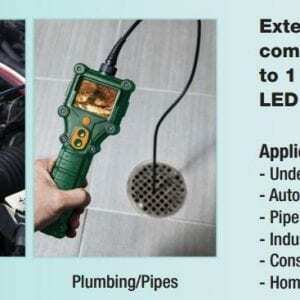 This product is complete with six AAA batteries, 2 connection hoses and a hard carrying case. 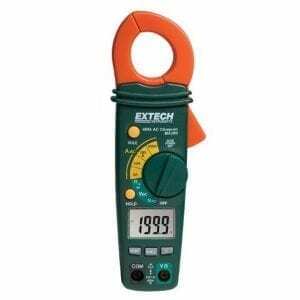 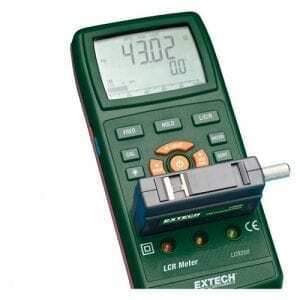 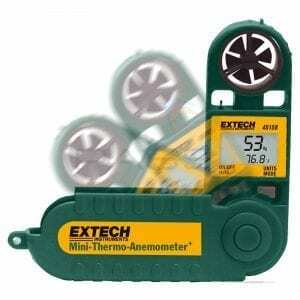 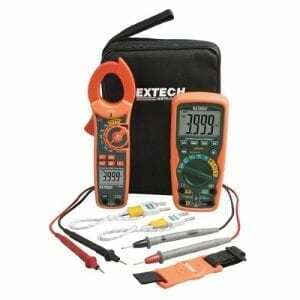 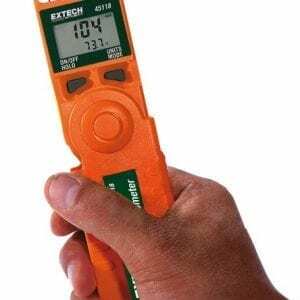 The Extech PS115 Differential Pressure Manometer measures gauge pressure (a measure of pressure with reference to ambient pressure) and differential pressure (the difference between two pressure measurements). 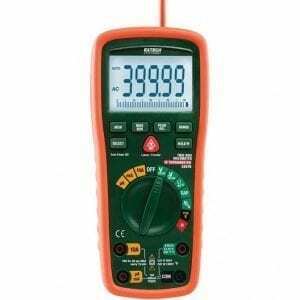 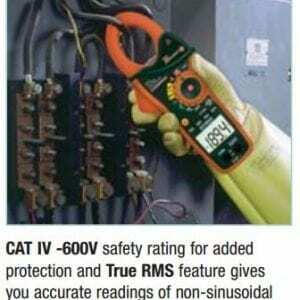 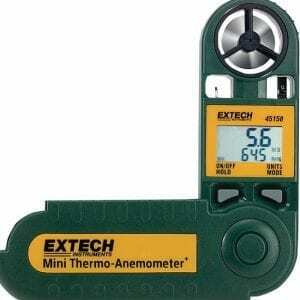 In addition, the meter can display a value that represents the actual reading minus a stored reference (DIF mode). 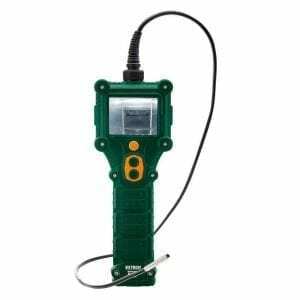 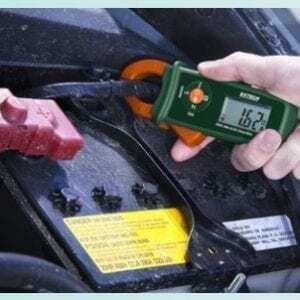 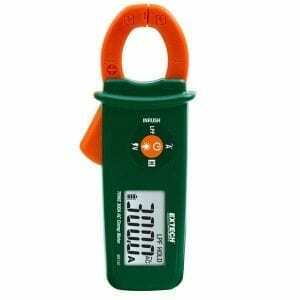 The PS115 (±15 psi) model offers 11 units of measure, a 99 reading storage utility, MAX/MIN recording with Relative mode, Time Stamp, Data Hold, Auto Power OFF, Zero function, and large Backlit LCD. 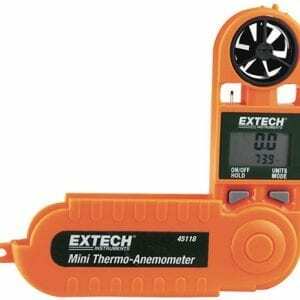 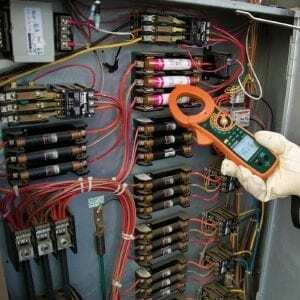 The device is portable and battery operated and perfect for HVAC technicians as well as those in the pneumatic and medical fields.